Jacksonville 21-year-old Yungeen Ace commands a loyal legion of fans, inspiring them with his tales of struggle and perseverance. Stepping into the ring to confront his demons head-on, Ace shares “So Long,” his latest video. 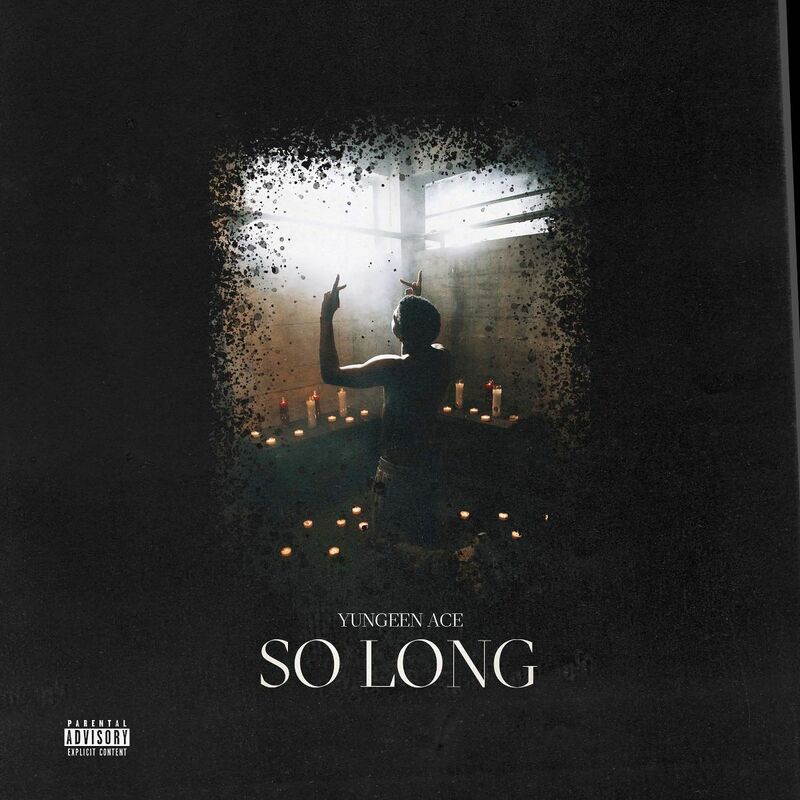 His first new single of 2019, “So Long” finds Ace fighting to move on from his hometown, where he’s suffered unfathomable losses and faces danger every day. The video dramatizes Yungeen Ace’s internal conflict, putting him in a boxing ring with a much larger man as the gym crowd cheers against him. Though his opponent knocks him down, Ace rises up to score the knock out, overcoming his adversity and conquering his life’s problems. Premiered by Complex, and with audioreaching the top 30 of YouTube’s Trending chart on its first day of release, the new video single follows a long line of standout videos from Life I’m Livin, Ace’s late-2018 mixtape. Earlier this month, Ace shared “Spinnin,” which racked up over 1 million streams in less than a week. “Spinnin'” followed the ferocious clip for “Murder Rate Rising” (2.3 million views), and the mournful “2X Screamin‘” (8 million views). Comprised of nine emotional and hook-filled standouts, Life I’m Livin finds Ace taking stock of his place in the world. The follow-up to his successful debut mixtape Life Of Betrayal, which has tens of millions of streams on all platforms, Life I’m Living finds Ace reckoning with his rise and with his past, as he tries to shake the habits learned in a rough neighborhood in riveting tracks like “KSO Homicide,” and warns others against living a life of crime in “Life I’m Livin.” The new project hosts the single “I Can’t,” which has over 3.1 million views on YouTube since its release in December, which finds the Cinematic Music Group-signee speaking out against the justice system and the faithless friends who sold him out. Life I’m Livin debuted via Audiomack, where it immediately became the #1 album in the platform’s trending charts. Stay tuned for much more from Yungeen Ace in the coming year. Yungeen Ace has built his massive following by standing alone. At 21, the artist born Keyanta Bullard describes his city of Jacksonville as “a jungle.” Originally a Chicagoan, he moved to Duval County, Florida as a child with no friends. Despite 11 brothers, Ace learned fast that if he wanted to survive, he could only rely on himself. “It’s hard out here. Everything we do, we gotta fight for it. We’ve got to go above and beyond just to make it. The surroundings are crazy. It’s a creep city. Nobody is for you out here, so you have to be really for yourself.” In June of this year, Ace was the lone survivor when a car he was riding in was ambushed by a drive-by shooting on Town Center Parkway. Three friends died. Just freed after a bid, the moment was a painful and chilling reminder of the violence epidemic for Ace. It was a dark spot in an otherwise upbeat time. The rapper recently signed with Cinematic Music Group, a label responsible for propelling key new musical voices into the mainstream. With his debut mixtape Life of Betrayal having dropped this past August, Ace is next.